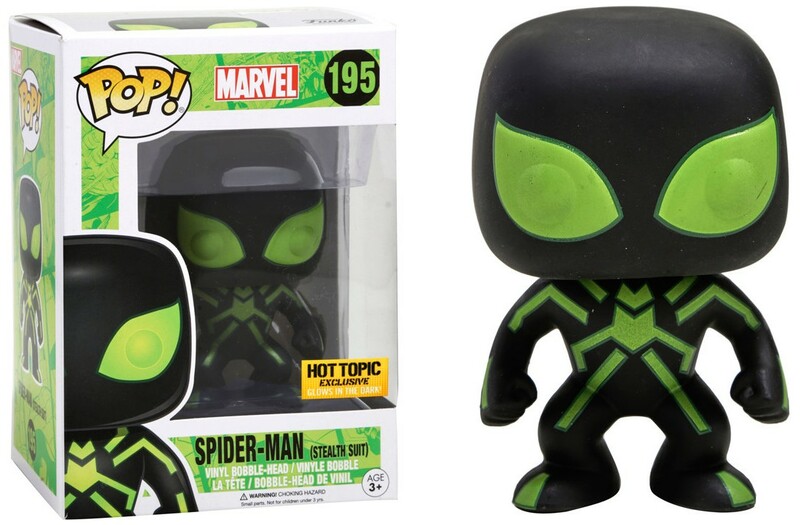 Hot Topic always seems to have the hottest Funko retailer exclusives, and that includes this really sleek looking glow in the dark Stealth Suit Spider-Man Pop! Marvel vinyl figure. It’s definitely a must get for all the Spidey and Marvel fans out there! 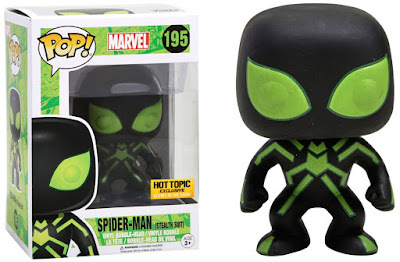 The Hot Topic Exclusive Stealth Suit Spider-Man Pop! Marvel vinyl figure bobble head stands 3.75” tall, features one point of articulation and comes packaged in a full color displayable window box. This awesome exclusive is available now at Hot Topic stores and online here for $12.50.